Recently, it was brought to my attention that some in the medical billing field refer to denials as either a hard or soft denial. I stubbornly insisted that denials are denials and need to be worked. Upon researching, soft denials are those that can still be fought or appealed while a hard denial is the end of the line, there is nowhere to go, and the claim will not be paid. Here are some important steps to avoid denials regardless of their soft or hard status. It is imperative that the billing staff utilizes the proper billing codes for the services provided, follows the LCD (Local Coverage Determinations-area specific) or NCD (National Coverage Determinations-statewide) guidelines to bill the correct codes, utilize the correct diagnoses codes, use the correct descriptive modifier(s) if applicable and acknowledge the utilization and medical necessity of the services provided. Most insurances follow the Medicare LCD & NCD guidelines, but they may also have their own payer specific LCD or NCD that they follow. If so, you can request assistance with the payer representative to locate their specific guidelines. Billing guidelines, or rules as they may be called, are ALWAYS changing so read those emails or newsletters from the payer. Sign up for them if you have not. If you don’t, claim processing time can be greatly delayed due to changes you may not be aware of. There are specified service codes for certain payers that trigger an immediate request for medical records. This varies for each payer. Unlisted codes or codes that end in 9999 will require medical record submission. TIP: Two specific payers-Blue Cross & Blue Shield and United Healthcare are infamous for using this code and when the records are sent in, they send a letter requesting the records be sent with their specific appeal or reconsideration cover. To alleviate an over 60-day delay in payment be sure your staff processes all reason code 16 and 50 denials with the appeal or reconsideration form to save the additional 30-day delay in payment. To follow are a few of the direct links that explain the payers appeal process requirements by locality. Please click on the link for directions and proper forms to use. If it isn’t documented, it wasn’t done. Be sure all services are detailed, documented, units are correct, diagnoses are payable, NDC’s (National Drug Code) are on the claim, CLIA numbers are loaded and on the claims for specified services. In doing so, your clean claim percentage will increase as your AR decreases. Clean claims are crucial to quick payment. Be sure you are working with your system and clearinghouse edits to review and correct any rejected claims. Changes to the billing work flow or the addition of information may be needed to reduce the number of errors. Medical records– to include labs, pathology and radiology results as well as previous notes that support continued treatment etc. Any additional information to support the medical necessity and correct code billing. TIP: Confirm that all submitted documentation is legible and signed off by the rendering providers in accordance with the signature guidelines. See link below. This information will need to be filed to the payers designated appeal department for review. Note: Marking the medical records for clarity is highly recommended to clearly support your case to the payer. Should the claim deny again, and you and your staff KNOW this is a payable service that was billed in accordance with medical billing guidelines, DO NOT back down. Take the appeal to the second or third level and if the claim remains unpaid, request a Peer to Peer review, a physician to physician phone call for detailed discussion and possible approval of the services provided. Take EVERY denial and work to them to the best of your ability. Some may take longer than others but stay strong and do not let the payers beat you down on medically necessary services that are provided in good faith to their insured. Did you enjoy this post? 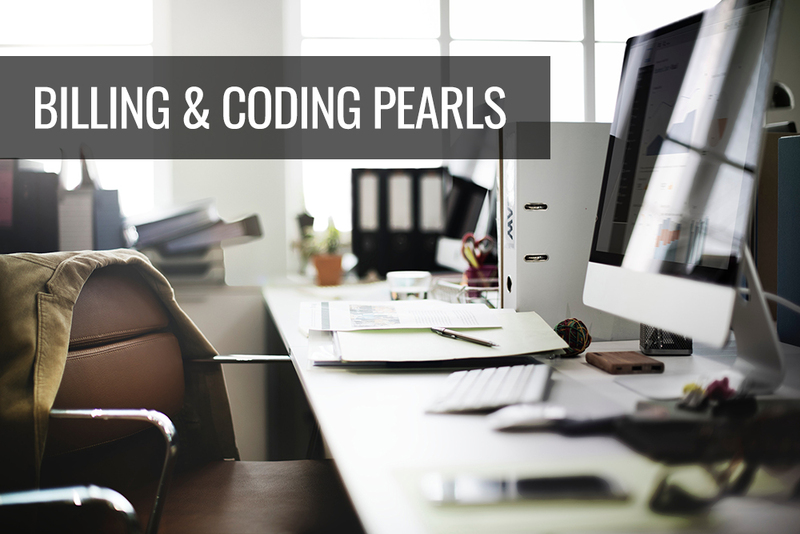 Find other Billing & Coding topics here. Next PostNext Got Board Exam Questions? Derm In-Review Faculty Has Answers!